Senator Francis "Kiko" Pangilinan has filed Senate Bill 57 which seeks to raise the minimum salary of doctors from P28,417 (Salary Grade 16) to P56,610 (Salary Grade 24). Pangilinan said that the bill is aimed to encourage doctors to work for the government's public hospitals instead of seeking greener pastures abroad. Senate Bill 57, also known as the "Government Doctors' Salary Upgrading Act", also hopes to address the "brain drain" that has been happening to the Philippines in recent decades. According to the World Health Organization (WHO) in 2013, approximately 22,000 health professionals leave the country annually to become OFWs. Naiintindihan natin ang pangangailangan ng ating mga doktor para sa mas mataas na sahod. Nakakalungkot isipin na karamihan sa kanila ay nagpasyang mangibang-bayan na lamang sa halip na ipagpatuloy ang kanilang propesyon dito sa ating bansa kung saan sila mas kailangan. Millions of Filipinos are in dire need of medical attention, especially those in the rural areas. It is estimated that of the 70 percent of Filipinos in rural areas, only about 10 percent receive services from medical professionals. 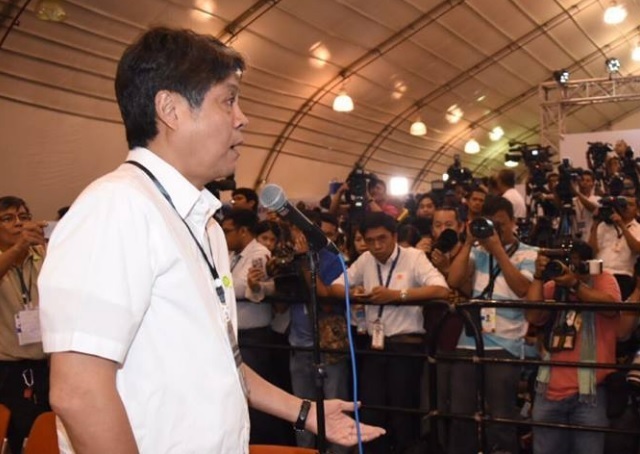 The bill is Senator Pangilinan's priority legislative agenda for the 17th Congress. If you think that P56,610 is a bit too much for a goverment doctor, keep in mind that private practitioners earn hundreds of thousands in a month, a far cry from the current P28K+ monthly earnings of government doctors . Working for a pittance compared to their peers, government doctors are part of the unsung heroes of the country. Receiving wages way below than what they deserve, government doctors as well as their families, sacrifice a lot in the name of public service. It's about time that government doctors are given just compensation for their efforts and services.